– Coaching legend Brother Colm O’Connell talking about the damage done to Kenya’s reputation after Rita Jeptoo‘s doping positive and calling on Athletics Kenya to stop ignoring the problem. I want to go to the absolute most prestigious private school i can get into. Could Symmonds beat Centro in a sit-and-kick? 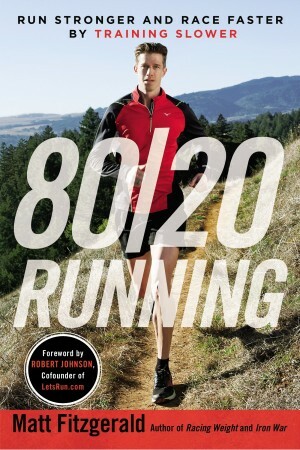 Why don't Ben True and Chris Derrick try the marathon? What was it like in the theater when The Empire Strikes Back was first released? We look at whether the Kenyans are only good because they cheat in light of Frank Shorter's comments, plus we compare Ryan Hall and Josh McDougal, and look at throwback Ingrid Kristiansen. Our New Favorite Country? Germany Set To Make Doping In Sport A Crime With Up To Three Years In Prison The law is applicable to foreign athletes caught doping in Germany and could see doctors supplying drugs get 10-years. It will go before parliament in spring 2015. Recommended Read: Brother Colm O’Connell Talks About The Dark Cloud Of Doping Hanging Over Kenyan Athletics O’Connell and others (including David Rudisha) are saddened that the reputation of Kenyan athletes has been damaged. O’Connell calls on Athletics Kenya to “stop saying to themselves there is no problem, stop blaming foreign coaches and managers” and do something. Michael Johnson Urges WADA To Introduce Life Bans For Drug Cheats He feels it’s the “primary deterrent” for people who cheat. Stats From 2014 USADA Drug Testing: Galen Rupp The Second Most Tested US Athlete Behind Michael Phelps Behind Rupp, Kara Goucher and Dathan Ritzenhein were the most tested track athletes. 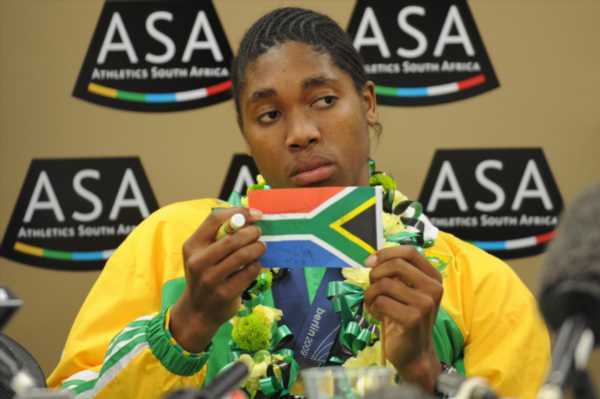 After Worst Season Of Her Career, Caster Semenya Makes Coaching Switch Away From Former Olympic Gold Medalist Maria Mutola She has joined Jean Verster‘s training group, which includes Nijel Amos and Andrew Olivier. Nick Symmonds Backs Eugene’s Bid For 2019 Worlds He says the idea of Worlds in Eugene might be enough to keep him running through 2019 when he’s 35. From The Weekend: Feyisa Bekele Won Seoul Marathon In 2:07:43 In Tight Finish With Evans Kiplagat (2:07:46) Thomas Kiplagat was a close 3rd (2:07:52) as three-time defending champ James Kipsang was only 9th (2:11:31). Extensive Gary Cohen Q&A With Abdi Abdirahman Abdi is only the 2nd American men’s distance runner to compete in four Olympics. Daily Relay’s Marathon Awards For 2014 “Not Rabbit of the Year” goes to Haile Gebrselassie for his horrible pacing job in London. 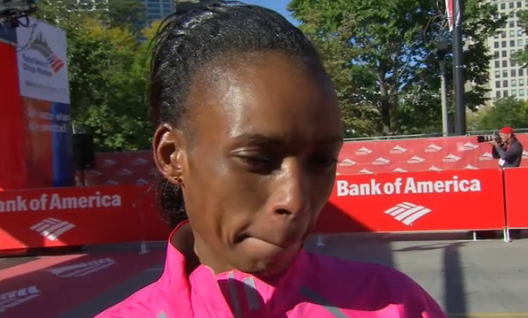 IAAF Work, Rest And Play Interview With CGs/African 10,000 Champ Joyce Chepkirui Do elites even care about those flower bouquets they get at the finish when they win? Chepkirui does and even remembers which meets give the best ones. Oregon High Schooler Matthew Maton, Who Broke Galen Rupp’s State Meet Record, Will Be Splitting From His Team In The Post-Season Maton will be going to Foot Locker while the rest of his team is favored to make NXN. *MB: It’s time to have ONE national championship. $$$: Medal From Athens 1896 Olympic Games Sells For $286,000 1896 was the first modern Olympics. Athens Marathon: Felix Kandie Wins Breaks Stefano Baldini’s 10-Year-Old CR From The 2004 Olympics Kandie ran 2:10:37 in warm conditions to break Baldini’s mark by 18 seconds and his own PR by more than 5 minutes. Naomi Maiyo took the women’s race (2:41:06). After 2nd And 3rd Place FInishes, Ethiopia’s Shume Hailu Finally Wins Marathon des Alpes-Maritimes Nice-Cannes In 2:09:27 Kenya’s Rose Jepchumba won the women’s race in 2:33:52. Justus Kagongo (29:13) Wins Tegla Loroupe Peace Run 10K In Kenya Gladys Yator won the women’s race (35:03). LRC Women’s Preview: Who’s Going (And Not Going) To NCAAs? Say it ain’t so. Defending champ Providence, along with Villanova, teams that have won 3 of the last 5 NCAA titles, seem unlikely to make NCAAs together for the 1st time since 1988. Get the low-down on each region and see which unranked schools (Portland?) could crash the party. 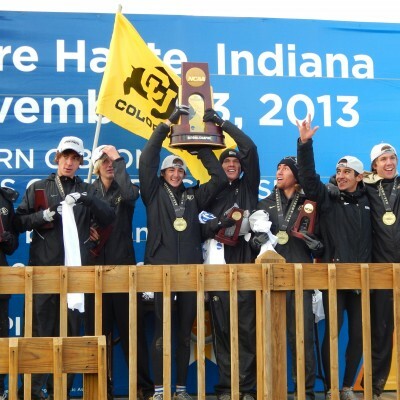 LRC 2014 NCAA Regionals Men’s Cross-Country Preview: Who’s On Track To Qualify For The Big Dance? What 3 ranked teams look like they’ll be left home? What 4 unranked teams will be dancing? We break down each region and tell you which races hold the most significance for at-large purposes (hint: not the South or South Central). LRC Who’s In? Who’s Out? 2014 NCAA Regional Projections Assuming Everything Goes According To Form Thanks to former Duke runner Bo Waggoner, we can tell you who will qualify for NCAAs should the current USTFCCCA Regional Rankings hold. Women’s Running Q&A With Stephanie Rothstein-Bruce Talking About Her New Baby And Future Racing Plans Bruce shares some of the issues involved with coming back from pregnancy which apparently include peeing your pants on runs. Post-NYC Marathon Q&A With Lauren Kleppin She was slightly disappointed with her 15th-place finish. 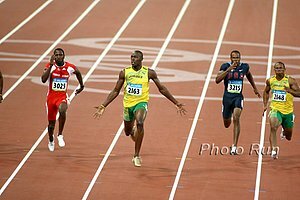 Sprints/ Jumps: What Was Bolt’s Best? Meet Wayde van Niekerk, The 400 Runner Who Came Out Of Nowhere To Break A 15-Year-Old South African National Record With 44.36 He was 2nd at the CGs behind Kirani James, but only moved focus from the 200 to the 400 in 2013. He still has trouble dealing with the longer distance; after his silver medal he was too tired to run a victory lap. Reeva Steenkamp’s Mother Publishes Memoir, Says She Doesn’t Believe That Oscar Pistorius Killed Her Daughter By Accident She feels the SA justice system “let her down,” but that she forgives Pistorius. 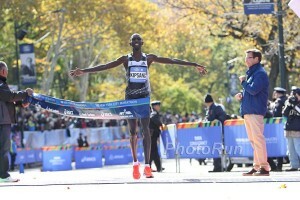 EQT Pittsburgh 10: Leonard Korir Wins, Ryan Hall 10th, Sara Hall Sets Course Record And Wins $3,500 Jonathan Grey was the first American in 5th. *Results *OTB: Ryan Hall 50:25 in Pittsburgh?? Olympians Janet Bawcom And Daniel Vargas Win Rock ‘N’ Roll Savannah Half Marathon Nick Hilton and Tara Martine were the winners in the full. Forbes’ List Of The World Highest-Paid Athletes Usain Bolt is the only track athlete (#45) on the list of 100. They have him down at $23.2 million. Boxer Floyd Mayweather is on top at $105 million. Q&A With NZ Shot Putter Tom Walsh On His Off-Season Training Walsh had a breakthrough year with silver at the Commonwealth Games and bronze at World Indoors. College Recruiting Guide For Track Athletes This guide is written for throwers, but most of the advice is applicable for all events. 4-Sec. PR In 400m: UK 400 Runner Matthew Hudson-Smith Excited About The Future After Huge 4.01-Second Breakthrough In 2014 Hudson-Smith had a 48.76 PR before this year and finished with 44.75. 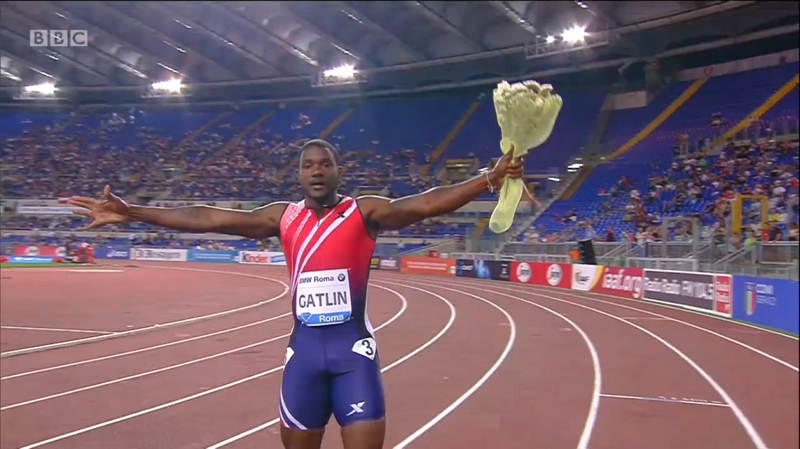 He didn’t even expect to be selected for Euro Champs and ended up winning two medals there. UK LJer Chris Tomlinson Plans To Continue On Despite Losing Lottery Funding He says it’s a “breath of fresh air” as he can do whatever he wants instead of listening to UKA. He is being coached by his dad and living where he wants. US 400H Champ Kori Carter Talks About The Huge Jump Joining Bob Kersee’s LA-Based Star-Studded Training Group Carter joined the group this season which includes top sprinters like Allyson Felix and Dawn Harper Nelson. Africa’s Fastest Female Sprinter Blessing Okagbare Is Married Check out photos from the World silver medalist’s wedding. Chickamauga Battlefield Marathon Winner Disqualified After Her Chip Recorded A 49-Minute Second Half Sometimes cheating is hard to catch … this isn’t one of those times. 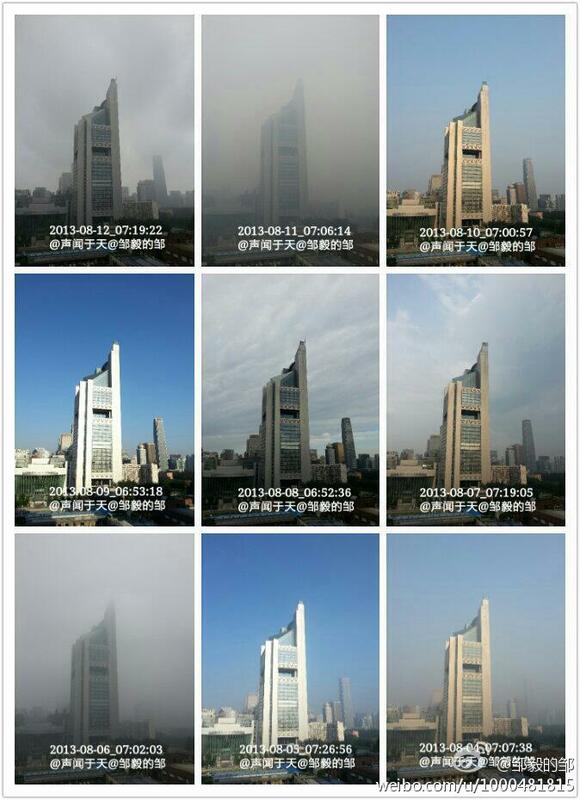 Doesn’t Exactly Get You Psyched To Run A Marathon: This Is What One Year’s Worth Of Beijing Pollution Looks Like In Photos Will some elites be hesitant to run the marathon at Worlds next year? Which Tennis Stars Will Follow In Caroline Wozniacki’s Marathon Footsteps? Novak Djokovic and Andy Murray both would like to after they’re done with tennis. Others not so much. 12,156 Take Part In First Running of Fukuoka Marathon, A New Mass Participation Race The men’s elite race, the Fukuoka International Marathon, is a separate event in less than 4 weeks. Good Read: The Brother Colm O’Connell Of Ethiopia: Sentayehu Eshetu Is Coach Of Ethiopia’s Past, Present And Future Eshetu coaches young runners in the tiny town of Bekoji and has worked with Berlin champ Tirfi Tsegaye, Olympic champ Tiki Gelana, all-time greats Kenenisa Bekele and Tirunesh Dibaba and more. ASU’s Shelby Houlihan Looks For Big Finish To Her NCAA XC Career Houlihan says losing at Wisconsin really took the pressure off her for the rest of the season, but she’s going into Regionals and Nationals trying to win.